Going vintage is a great way to get a classic look but being able to create your own vintage key necklace is even better. Old spare keys are pretty easy to get a hold of and with some simple embellishing, you can create your own unique key necklace. 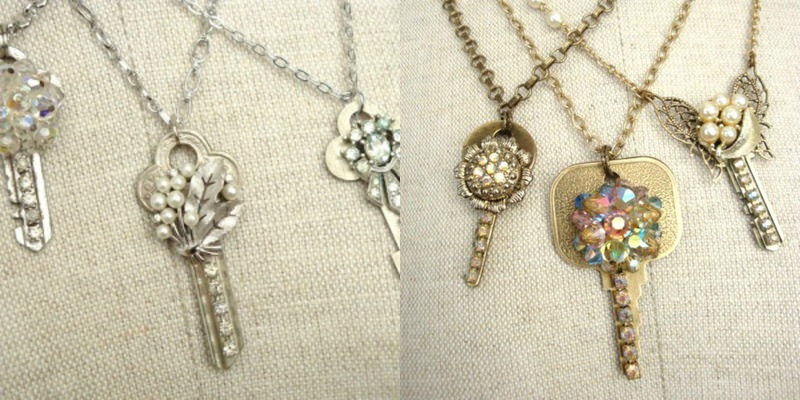 Click here to visit My Salvaged Treasures to unlock the answers of how to make your own vintage key necklace.